Top female swimmer cup for 2017 goes Judith Charman - congratulations! Top male swimmer trophy for 2017 goes to Roy Wilson - congratulations! 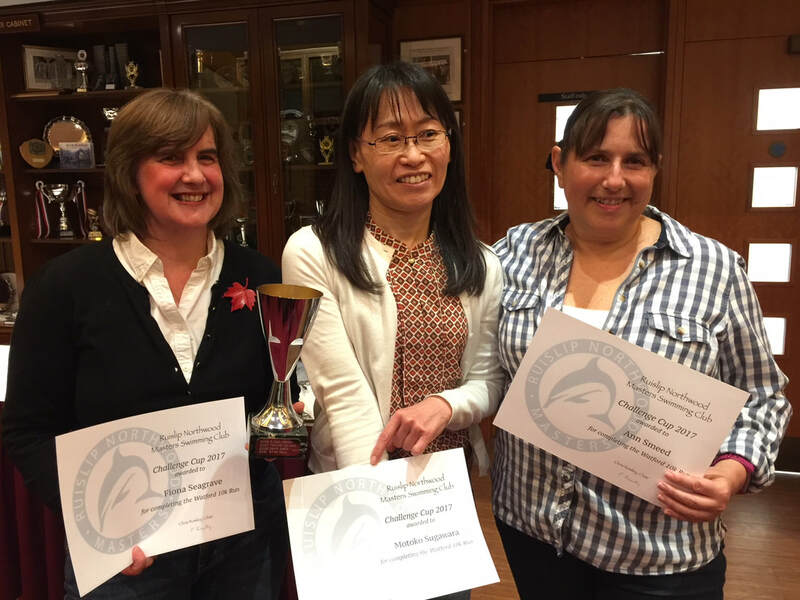 The Challenge Cup for 2017 was awarded to Fiona Seagrave, Motoko Sugawara, Ann Smeed and Elizabeth Harland for entering & completing the Watford 10k in November 2017. Well done ladies! Lifetime Membership was awarded by the Club Chair to Ray Clarke - well deserved!